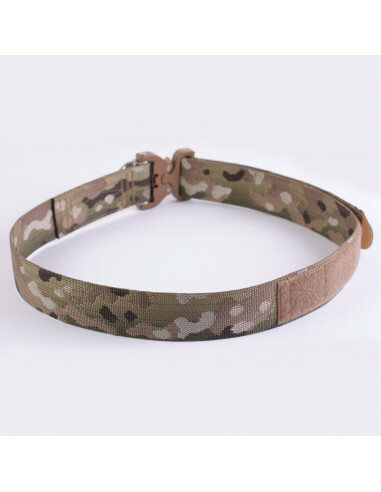 Tactical belt UTactic COBRA RING belt BT4 Multicam uses the original COBRA buckle from the Austrian company AustriAlpin with a metal evacuation ring. 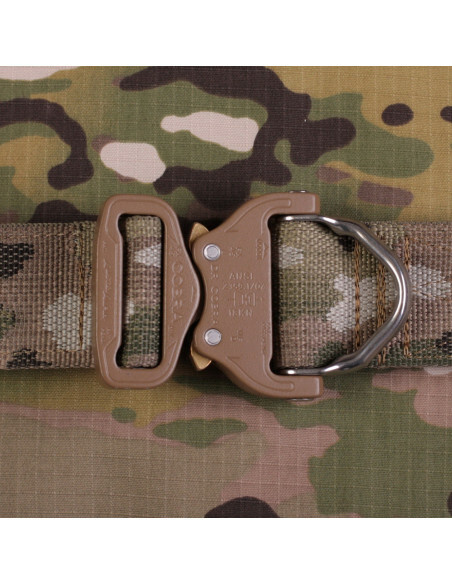 The evacuation ring integrated into the buckle allows using it not only as a trouser belt or a component of loadout belt systems, but also as a part of a rescue system for evacuation from height or battlefield. 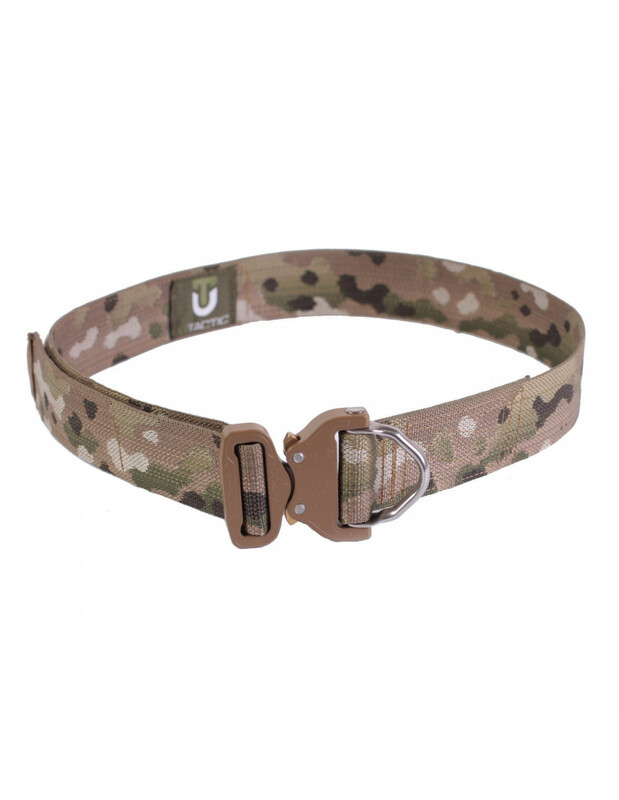 The metal ring on the buckle allows to securely fasten an evacuation latch hook. 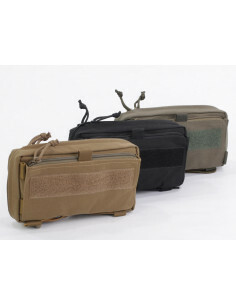 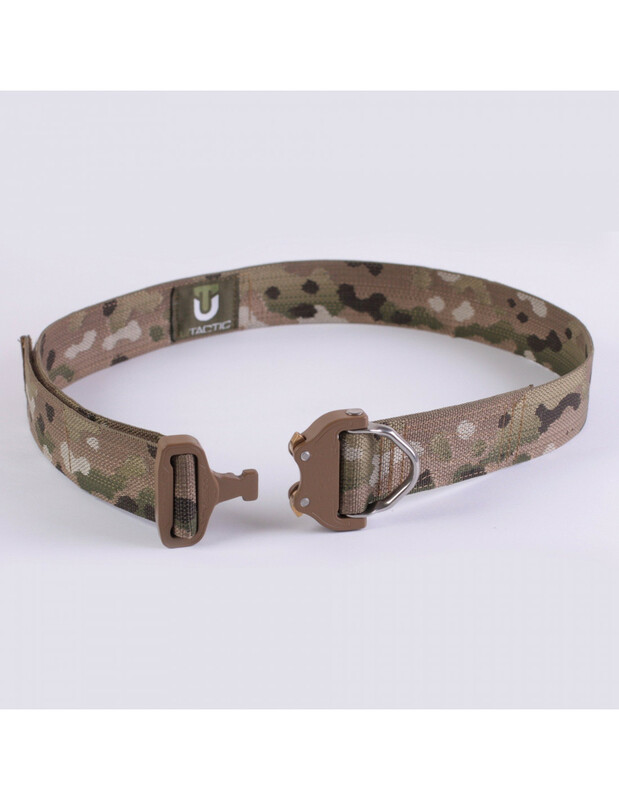 The durable nylon strap provides above 2000 kg of tensile strength and has Multicam coloring. 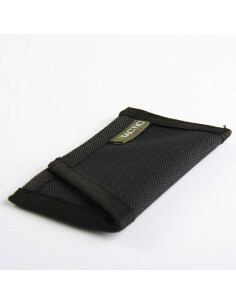 UTactic SHM-1 shooting mat is intended for shooting in lying position. It protects a shooter from cold and damp and makes shooting on solid uneven surface more convenient. 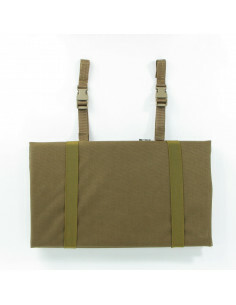 Rough bipod stop keeps rifle firmly fixed. 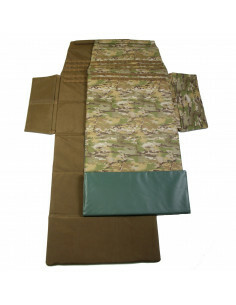 Shooting mat can be also used as a sleeping mat.